Whether you’re frustrated with your online store conversions or eager to learn more about CRO, you will wonder where should you start. Conversion Optimization training is what need and here’s how I’m getting trained myself. When I decided to enter the world of CRO, I wasn’t really sure where I should start. The first thing I did, which you probably did as well, is search on Google the term “Conversion Rate Optimization” and “what is CRO all about“. I got a lot of results but then started filtering them based on popular terms suggested by Google. If you’re planning on getting some training in CRO, it’s not as simple as you think. You can read some books and take some classes, but nothing beats real life experience where you implement what you’ve learned on live websites. One the best ways to learn about any topic is to follow the experts within that topic itself. That’s exactly what I did. Not only did I create a list of all conversion rate optimization experts, but I also chose 4 of them to be my virtual mentors. Some of those experts have written books, speak at multiple events, have developed a CRO concept or frameworks, created online courses, own a CRO agency or provide SaaS solution. What you need to do is learn more about each one of them. Read some of their blog posts or watch videos on Youtube. Get familiar with them and their style of teaching. When I read those books, I use Evernote for note taking and I love it! I also have a notebook where I simply write key points from each chapter. For some reason, handwritten notes help me understand the topic even better. The next step I did to learn more about CRO is to signup to online training courses. The first course I joined was by Peep Laja. It was expensive but it’s perfect for anyone who wants to really go deep into this subject (it’s now closed). The second course I signed up to is the recent one by Chris Goward at Lynda.com. The third course I signed up to is by Joanna Wiebe at Copyhackers.com about copywriting. I’m also signed up to Neil Patel’s University where he teaches all sorts of online marketing and optimization tactics. Finally, I’m about to register to Rich Page’s newest CRO course. In order for you to stay on top of the latest CRO developments and to continously learn new tactics from the pros, I recommend you follow some conversion rate optimization blogs like mine. 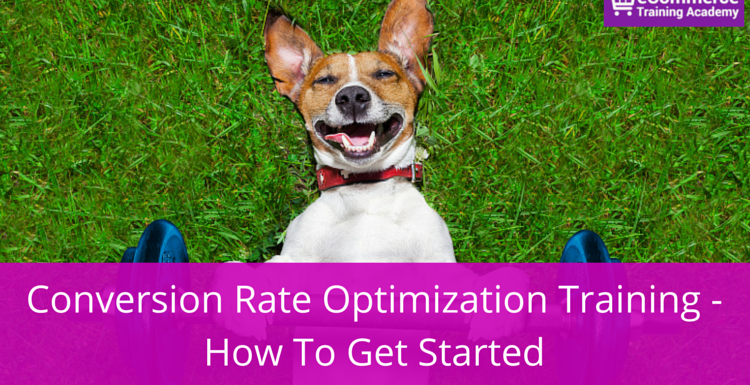 Another great way to learn about conversion rate optimimzation is to attend some conferences. Not only will you have access to workshops but you will also get the opportunity to meet industry leaders face to face. Networking is very important. This year I am planning on attending some conferences but haven’t decided which ones yet. I have plans on attending ConversionXL Live. It’s great to learn everything there is to know about conversion optimization but you really need to implement or execute things in the real world. You need to test those tactics yourself on a live website of some sort. Currently, I’m implementing what I’m learning on my own eCommerce website iNetVideo.com and also offering CRO Services to online retailers through my agency eCommerce Hackers. Finally, another way of training yourself in CRO is to teach others what you’ve learned. You can do this by either blogging about the subject just like I am doing on Optimize & Profit, create podcasts, make video tutorials, create online courses or speak at events. This year, I spoke about Conversion rate optimization at ICERetailer.com in Atlanta. My session was “7 Tactics to Increase Conversions in 7 Days”. I also started offering live CRO webinars where I review websites for people. 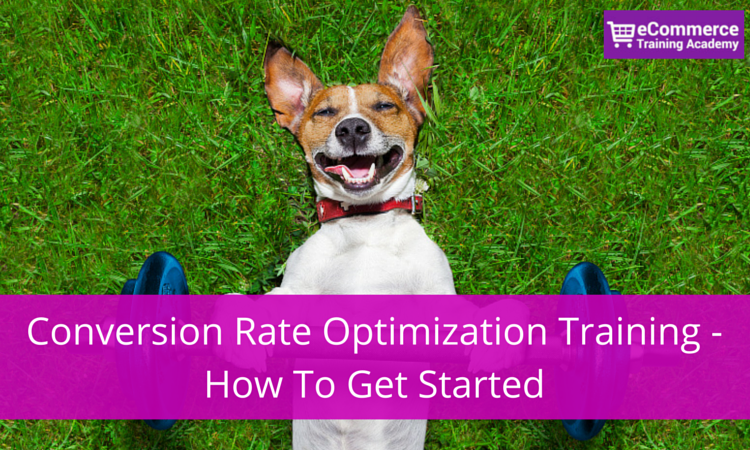 I truly hope that those 7 steps will help you get the training you’re looking for in conversion rate optimization. Have you tried any of them already? If so, how was it?